Works by five England & Co artists – Maliheh Afnan, Vito Drago, Chris Kenny, Georgia Russell and Jason Wallis-Johnson – are currently on view in the exhibition Contained Thoughts in the Courtauld Institute Library Exhibition Space. Gallery artist Georgia Russell will be included in two new international exhibitions early this year. Firstly, The Book Borrowers: Contemporary Artists Transforming the Book at the Bellevue Arts Museum, Washington, USA (24 February–14 June 2009); and second, the exhibition of book works Novel Ideas at the Oakville Galleries in Ontario, Canada (7 March–31 May 2009). Stuart Brisley is one of the artists invited to take part in this year’s Performance Saga Festival in Lausanne. Curated by Katrin Groegel and Andrea Saemann in collaboration with Arsenic Centre d’art scénique contemporain, the festival brings together artists from different generations. Open Dialogues: Performance Saga invites writers to respond to these performances online and in print, in English and French. 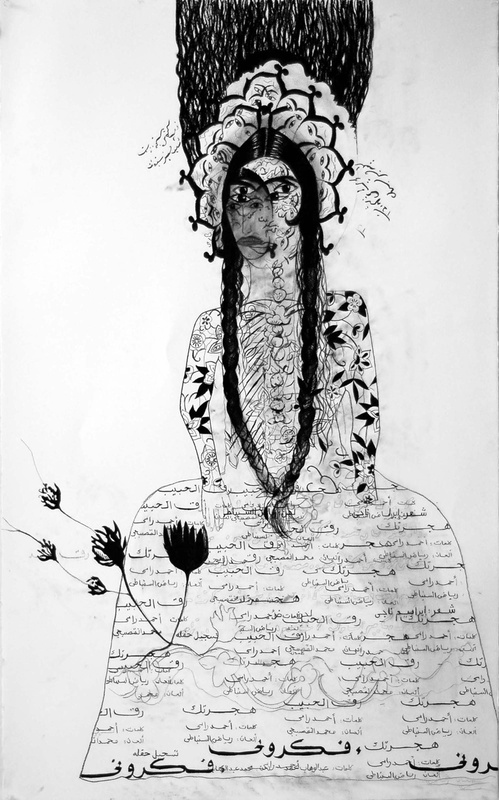 The charcoal on paper drawing Unravelling by Samira Abbassy has been acquired from the Gallery by the Department of the Middle East at the British Museum. Georgia Russell is one of the artists included in the exhibition Imaginative Qualities of Actual Things at Price Tower Arts Center, Bartlesville, Oklahoma. The exhibition explores the role of art in environmental awareness through ‘object reassignment’. Liliane Lijn was one of the five artists (who included James Turrell and Anthony McCall) whose primary medium is light and who were featured in the BBC1 programme Let There Be Light directed by Tim Kirby. The programme was part of the Imagine series presented by Alan Yentob. The New York company Mrs John L Strong has a long tradition of hand-engraved stationery. Each year they produce a range of limited-edition desk calendars and, in the first of a series of collaborations with artists, they have chosen 12 of Jason Wallis-Johnson’s meticulous drawings for their 2009 Moderne Calendar. Ancient & Modern gallery exhibited photographs by Jane England (curator and director of England & Co) at the Zoo Art Fair, Royal Academy of Arts, London, together with works by Alan Kane, Peter Linde Busk, Matthias Dornfield, Des Hughes and Ruth Ewan. A display of work by Paule Vézelay – including paintings, sculpture and works on paper – is part of the Courtauld Institute of Art’s 75th anniversary celebrations, and marks the Paule Vézelay Essay Prize and the donation of items from the artist’s library to the Courtauld Institute. The display, curated by Jane England, is installed in the exhibition space outside the main library in the East Wing of the Institute in Somerset House, Strand, London WC2. Painting by Paule Vézelay on display in Poetry and Dream. 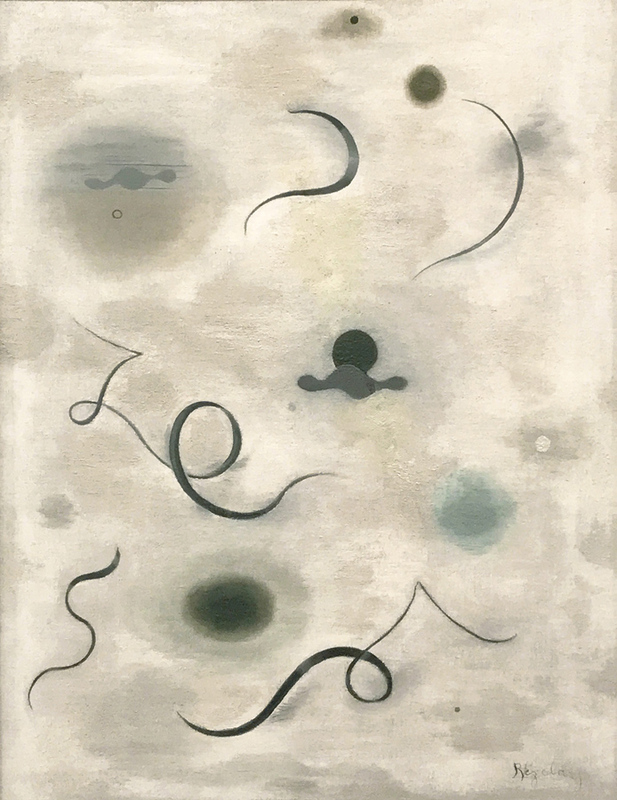 Paule Vézelay’s painting Curves & Circles (1930) is currently included in the new display Poetry and Dream: Surrealism and Beyond at Tate Modern. The large room at the heart of the display is devoted to Surrealism, while the surrounding displays look at other artists who, in different ways, have responded to or diverged from Surrealism, or explored related themes.